Access to your van roof and the stuff up there has never been easier and safer. 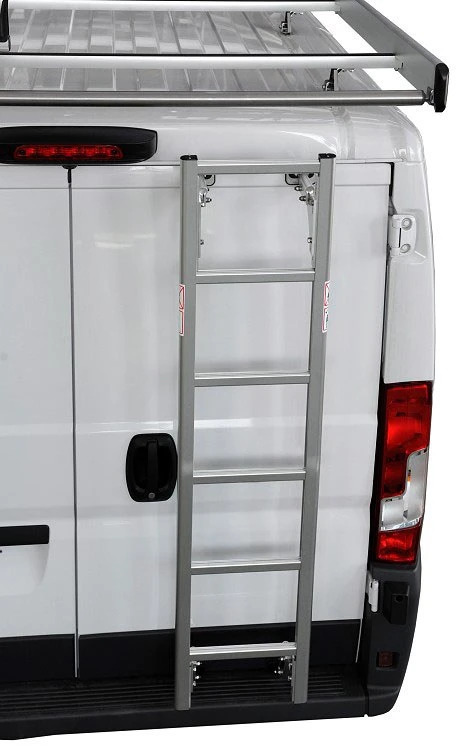 The new Syncro System van ladders are made entirely of aluminum. 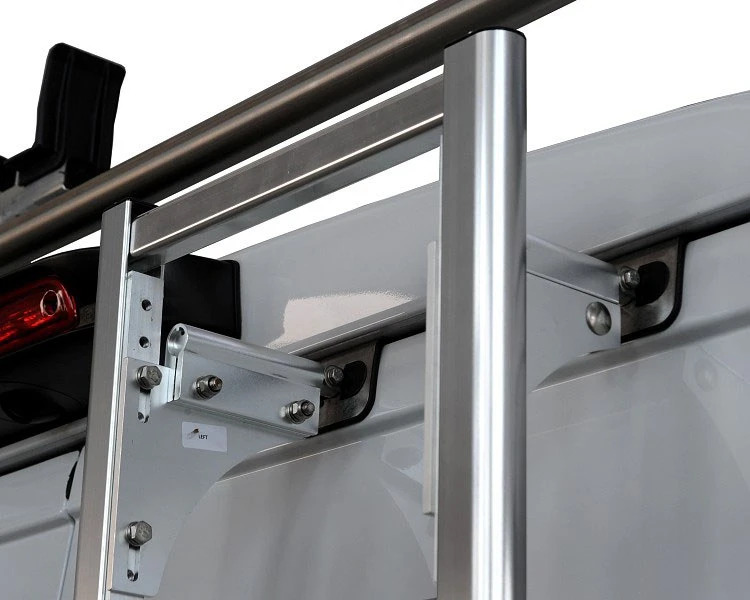 Climb up to load and unload equipment and material quickly and safely! 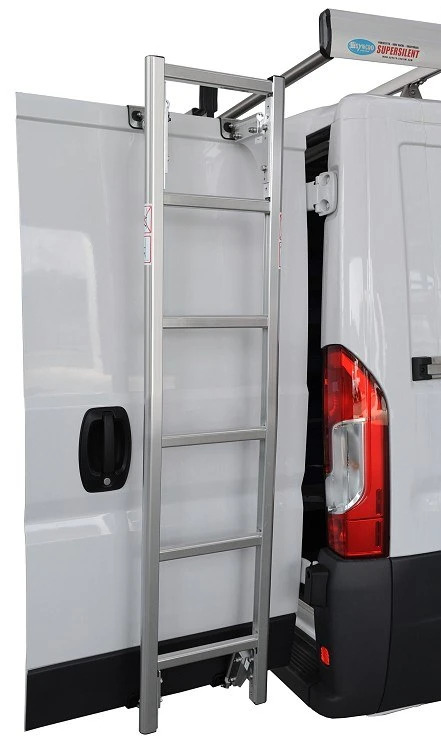 There are two options for mounting the Syncro van ladders. 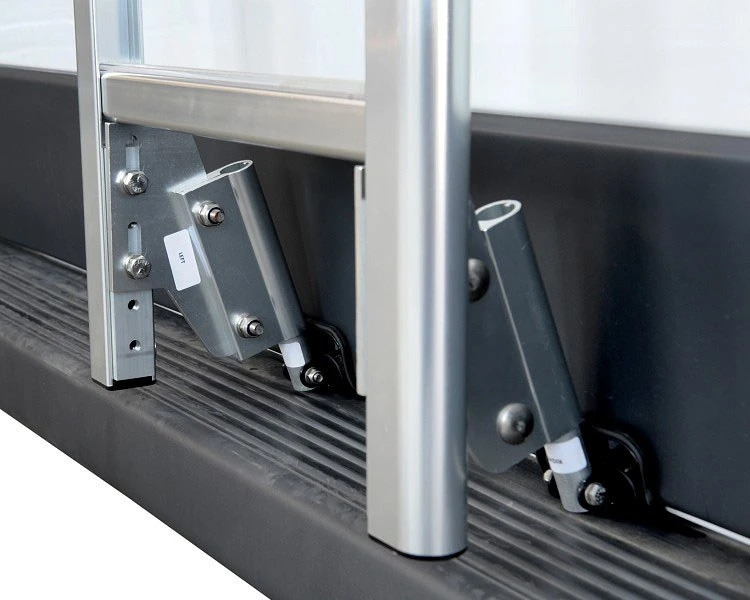 For the medium and high-roof vans on the market today, we offer custom models that can be mounted without having to drill holes in the van, thanks to the provided support brackets that attach to the van's rear doors. For all other models, we offer ladders with 5, 6 or 7 rungs. To mount these models, it is necessary to drill holes in the van body. all ladders are made of lightweight and durable aluminum, and the clean simple lines follow those of the Syncro roof racks and ladder racks. All materials are extremely durable, weather-resistant and constructed extra tough for outdoor use. Lightweight - keeping gas consumption down. No-drill mounting (in nearly all models) – preserving the van body. No problems if you want to move the ladder from one van to another, or even if you choose to sell your van .... there are no marks once you remove the ladder from the van! Mounting the ladder is so simple that there's no down time in the shop!